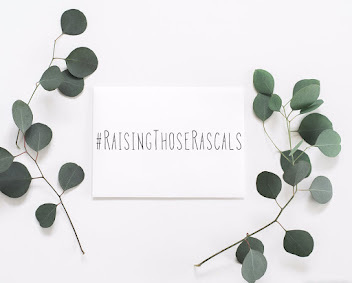 So i've practically had to disappear from the world of blogging this week as I had my hands full with Noah who came down with the chickenpox! Poor thing, he had some nasty spots but coped amazingly well and it actually didn't seem to bother him too much at all. I know the severity of chickenpox does vary from person to person and sometimes babies really struggle with being uncomfortable and itchy. I was bracing myself for a week of zero sleep and a screaming baby, but actually it couldn't have gone smoother and I'm soo thankful that it did! Chickenpox is a funny one, I didn't really know what to expect or exactly how it would effect Noah, but I stocked up on Calamine lotion and ViraSoothe cooling gel, which both worked a treat. The ViraSoothe, although a little expensive, definitely helped soothe and cool the spots. I lathered it on twice a day, morning and night, and it really seemed to take away any discomfort or itchiness. Noah slept brilliantly at night time too, which Im sure is a result of the ViraSoothe working its magic! It's not nice to see your little ones struggling with being poorly, but I'm quite glad we have ticked the chickenpox box, so to speak. It's definitely better to get it over and done with sooner than later and i'm so glad we have, for now anyway! I had to laugh though, this week we were staying at my sister's house, and my 23 month old niece (whom Noah caught the chickenpox from) has a little friend who lives a few doors down. Anyway, the friend's mother rang up to ask if she could come over for a coffee in the hope that her two little ones would also catch the chickenpox, just to get it over and done with ASAP for their family. I can't say I blame her though! Anyway, for any of you out there who want some honest, tried and tested mum to mum advice on getting your little ones through the worst of Chickenpox, these are the products I would highly recommend as they with out a doubt made a huge difference to Noah's coping. 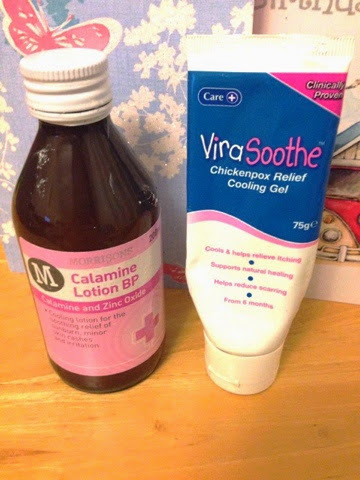 Calamine Lotion: I applied this to Noah's spots using cotton wool, it does have quite a distinctive smell (took me straight back to my childhood!) but it is designed to cool and relieve skin irritations from sunburn to chickenpox discomfort. You can buy this at your local supermarket or pharmacy and it's extremely inexpensive at only about £1. ViraSoothe cooling gel: This stuff is amazing! It was recommended by a friend and now I recommend this to any household with Chickenpox! It is a clear, scent free gel that instantly cools the skin. When Noah's spots were at their worst, I applied this twice daily massaging it all over his body. A little does go a long way but I found by lathering it on thickly, especially at night time, it really kept Noah out of distress. It is a little expensive, I paid about £10 for a tube, but it was well worth the money! I picked this up at a local pharmacy so it's quite easy to get hold of. Oats and Salt bath: The other trick my sister recommended I try was to put a good few handfuls of oats into a stocking and secure the end. Whilst bathing Noah I would pop this into the bath and it would diffuse the oats gradually. Something about the creaminess of the oats really helps to soothe the skin and a good sprinkling of salt alongside the oats also helped to dry the spots up. I hope some of you find it helpful!